Trailblazer: Virginia Mister ’35, J.D. ’37, was one of the first women in Virginia to become a member of the bar. 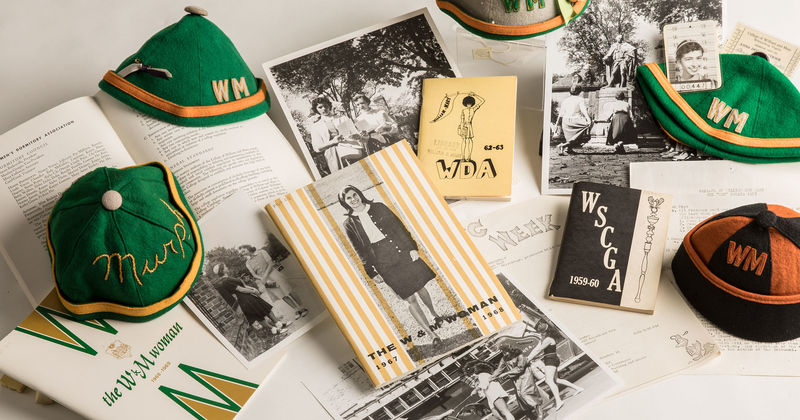 Although she graduated in 1937, the late Virginia Mister’s legacy looms large at William & Mary Law School. 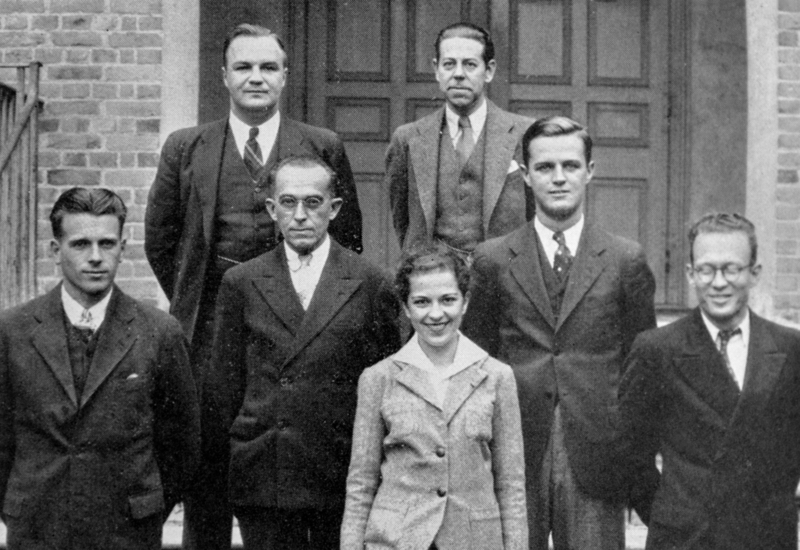 Not only was the Virginia Eastern Shore native and William & Mary undergraduate (Class of 1935) the first woman to graduate from the law school, but she was the second woman in Norfolk, and among the first women in Virginia, to become a member of the bar. Like many of her classmates, Mister was deeply involved in the life of the university. Among other things, she played on William & Mary’s women’s basketball team, sang in the glee club and was president of the Kappa Kappa Gamma sorority. She was also a law major. At that time, it was possible to major in law as an undergraduate and then go on for two more years to get a law degree. Mister spent the next two years in Brafferton Hall as one of four members of the Marshall-Wythe School of Jurisprudence Class of 1937. Like most female attorneys at that time, Mister found many firms resistant to hiring women to practice law. After taking a six-week stenography course, she began her legal career as a secretary at the law firm of prominent Norfolk attorney James G. Martin. During her time there, Martin introduced her to the Circuit Court of Norfolk, the Supreme Court of Virginia and the Federal District Court. As a true citizen lawyer, Mister led a broad array of civic efforts in Norfolk during World War II. She chaired the Women’s Organization for the Norfolk Cruiser Drive, War Bond Committee, and the Committee to Enlist Army Nurses and served on the Salvation Army-USO Club Board. After the war, Mister moved to New York City, where she began a 25-year career at the newly established United Nations. She served first as a legal assistant to the undersecretary for treaties and then as head of the Legal, Political and Security Council Affairs Library. Having opened the door and inspired other women over the years (more than half the law school’s current student population is comprised of women), Mister’s influence years after her death in 2003 continues through the Virginia Mister Scholarship. The idea for the scholarship was planted in 2012 when a number of the law school’s most accomplished alumnae, all of them current or former partners at the nation’s largest law firms, returned to Williamsburg to participate in the first “Lawyers as Leaders” conference, “Women in Big Law,” held in conjunction with the 75th anniversary of Mister’s graduation. Immediately afterward, Anna Engh J.D. ’89, past president of the Marshall-Wythe School of Law Foundation, spearheaded efforts to endow the scholarship. The result was nearly two dozen alumnae collectively providing gifts to make the scholarship in honor of Mister’s legacy possible. Professor Emerita Jayne Barnard, the driving force behind all seven “Lawyers as Leaders” conferences, had the great idea, Engh says, of naming the scholarship after Virginia Mister. The result was a scholarship for an outstanding woman law student applicant with financial need. Mindy Gee J.D. ’19, who hails from Los Angeles and is a 2012 graduate of Yale University, was just such a student. She was the first to be awarded the Virginia Mister Scholarship throughout her three years at the law school. Like Virginia Mister, she enjoys an international perspective, having worked at the Department of Justice in the Office of International Affairs before she came to Williamsburg to study law. At the law school, she is the president of the Human Security Law Center (HSLC) Student Board and a notes editor on the William & Mary Law Review. She is also a teaching assistant in the LL.M. Legal Practice & Writing Program. During summer 2017, Gee was a legal intern in the U.S. Attorney’s Office, Central District of California, Criminal Division, in Los Angeles, as well as a research assistant for Jay Butler, an assistant professor of law at William & Mary. Last summer, she was a summer associate at Ashby & Geddes in Wilmington, Delaware. Looking back, Gee has always liked being busy, and she knew she would have plenty of interesting challenges while studying at the law school. Upon graduation in May 2019, Gee will return to Ashby & Geddes as an associate in the corporate litigation group. If you are interested in making a gift to support the Virginia Mister Scholarship, please contact the law school’s office of development and alumni affairs at (757) 221-3795.